This course is part of the Media Economics Programme, a new programme at the Vrije Universiteit Brussel that is organized by SMIT. The programme combines facts and figures of state of the art scientific research with interesting and sometimes conflicting insights from industry experts. the Training programme in Media Economics via SMIT. 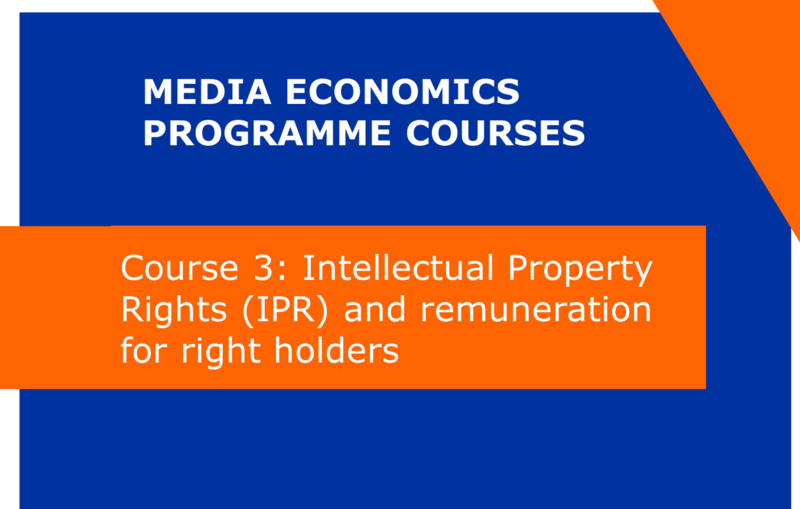 Course 3 proposes an overview of IPR issues faced by the media industry, from both a legal and an economic point of view. While digital technology allows for better access to media content, it might also threaten investments in content creation. It has indeed become easier to distribute, share and consume content without the right holders’ authorisation. Some companies even argue that authorisation is not always needed, for example in case there is no new communication to the public. Course 3 is an elective course for participants of the full Postgraduate programme. Acquire knowledge on the basics of European and national IPR frameworks. Understand the legal and economic justifications and limitations of IPR. Know which actors to take into account. Understand the shifting context for dealing with IPR in the European media industry due to digitization. Decipher income streams based on copyright and related rights. Provide a balanced overview of topical IPR issues in the digital age and consequences in terms of revenues and economic reward in general.